The following terms and conditions apply to all persons who purchase tickets to Starline Outdoor Cinema and Oatmill Cinema Complex. Please read them carefully. 1.2 All ticket sales are final and non-transferable. Refunds and exchanges will not be made for inadvertently booking the wrong session. Refunds will not be given for a cancellation or termination due to adverse weather conditions. Starline Outdoor Cinema does not provide refunds on tickets in the event of a Cancellation due to Adverse Weather. If a session is cancelled due to adverse weather, tickets are automatically converted to a voucher redeemable (valid for 12 months) for the same ticket type for a future session at the Starline Outdoor Cinema, Oatmill Cinema Complex or Landmark Pictures Naracoorte You must retain your original and intact tickets to use as a Voucher. When a session is cancelled, notification will be posted on the Starline Outdoor Cinema Facebook Page, Oatmill Cinema Complex Facebook Page and the Oatmill Cinema Website. Additionally, signage will be erected at the venue notifying customers of the cancellation. Please note that the Oatmill Cinema Complex Office may not receive advance notification of a cancellation due to adverse weather, and are unable to advise customers of a cancellation. In the event that a cancellation due to adverse weather occurs in the final week of season, and a ticket holder is unable to attend another session during that season, intact tickets will be converted to Vouchers redeemable (valid for 12 months) for the same ticket type at the Oatmill Cinema Complex or Landmark Pictures Naracoorte. Please contact the Oatmill Cinema Office for clarification as staff onsite may be unable to access booking details. 1.4 If a movie session is cancelled or terminated due to a decision by the host venue or other occurrence outside of Starline Outdoor Cinema’s direct control, Oatmill Cinema Complex will convert to a voucher redeemable (valid for 12 months) for the same ticket type upon return of an intact ticket, for a session at the Oatmill Cinema Complex or Landmark Pictures, Naracoorte (subject to capacity). Tickets are subject to capacity and entry is not guaranteed. 1.5 If a movie session is cancelled or terminated due to mechanical breakdown at the Starline Outdoor Cinema, the Oatmill Cinema Complex will convert to a voucher redeemable (valid for 12 months) for the same ticket type upon return of an intact ticket, for a session at the Oatmill Cinema Complex or Landmark Pictures, Naracoorte (subject to capacity). Tickets are subject to capacity and entry is not guaranteed. 1.6 Staff working onsite at the Starline Outdoor Cinema are not able to provide redeemable vouchers. 1.7 Entry may be refused if tickets are damaged or defaced in any way or are not purchased from one of Starline Outdoor Cinema’s authorised points of sale. 1.8 Starline Outdoor Cinema reserves the right to charge patrons on the evening of the session for the replacement of lost or damaged tickets. 1.9 Late arrival may result in non-admittance until a suitable time during the movie. 1.10 GST will apply to all goods and services supplied through this site. 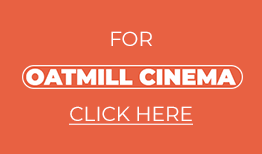 2.2 Oatmill Cinema Complex may refuse access to this web site at any time in its sole discretion. 3.1 Oatmill Cinema Complex reserves the right to vary the terms of sale at any time. Variations become effective upon posting on the web site. By making a purchase through this site after the terms and conditions have been varied you agree to be bound by the variation. Conditions of Entry – Starline Outdoor Cinema, Oatmill Cinema Complex, Mount Gambier and Landmark Pictures, Naracoorte. 1. Upon purchasing a ticket to Oatmill Cinema Complex, the purchaser agrees to be bound by the rules and regulations Oatmill Cinema Complex, Starline Outdoor Cinema and Landmark Pictures, Naracoorte. 2. Alcohol is not permitted at the Oatmill Cinema Complex, Starline Outdoor Cinema and Landmark Pictures, Naracoorte without permission and/or liquor license. Patrons found with alcohol on their person will be asked to leave immediately. 3. Dogs are not permitted, unless the dog is a registered guide/assistance dog. 4. Oatmill Cinema Complex, Starline Outdoor Cinema and Landmark Pictures, Naracoorte does not guarantee entry to persons who have not booked for a specific session, including Gold & Silver members, Complimentary Voucher holders, Movie Voucher Holders and Gift Voucher holders. 5. Persons holding Complimentary Vouchers, Movie Vouchers and Gift Vouchers may present their vouchers at the Oatmill Cinema Complex and Landmark Pictures, Naracoorte Ticket Office in exchange for an admission ticket or redeem their vouchers (subject to capacity). 6. Patrons may not damage or remove any vegetation or property belonging to City of Mount Gambier and Oatmill Cinema Complex, Starline Outdoor Cinema and Landmark Pictures, Naracoorte whether that vegetation or property is within or outside the designated Oatmill Cinema Complex, Starline Outdoor Cinema and Landmark Pictures, Naracoorte site. 7. Patrons must remain within Oatmill Cinema Complex, Starline Outdoor Cinema and Landmark Pictures, Naracoorte permitted areas where instructed to do so, by Oatmill Cinema Complex, Starline Outdoor Cinema and Landmark Pictures, Naracoorte staff or agents. 8. Open flames of any sort may not be bought into or used in the Oatmill Cinema Complex, Starline Outdoor Cinema and Landmark Pictures, Naracoorte. 9. Oatmill Cinema Complex, Starline Outdoor Cinema and Landmark Pictures, Naracoorte reserves the right to eject any person/s who is intoxicated and/or causing a disturbance to other patrons. Such person/s will not be entitled to a refund or exchange of tickets. 10. Patrons must be wearing foot wear at all times within the premise. Patrons without footwear will be refused entry. 11. Management reserves the right to refuse entry to any person without question. 12. Mobile phones are to be in silent mode at all times and if phones are to be used the patron must move to the back of the screening space. We reserve the right to remove patrons using a mobile at a screening for repeat infringements. 13. No cameras/video or audio recorders are permitted at a screening. 14. Behaviour that is deemed by management to be loud, unruly, offensive or disruptive to other patrons is prohibited. Patrons will be asked to leave the premise if behaviour continues. 15. NO SMOKING. This is strictly prohibited within Oatmill Cinema Complex, Starline Outdoor Cinema and Landmark Pictures, Naracoorte premises. 16. Proof of Age (photo identification) are required for all MA(15+) and R rated films. 17. Patrons must have a valid ticket on their persons at all times, especially when leaving the screening and re-entering. 18. Management takes no responsibility for children who are left unattended at Oatmill Cinema Complex, Starline Outdoor Cinema and Landmark Pictures, Naracoorte. It is not recommended that children are left alone before, during or after films. Parents are asked to note that film running times are provided as a guide only, and take no responsibility for films finishing early or late. 19. The Oatmill Cinema Complex, Starline Outdoor Cinema and Landmark Pictures, Naracoorte reserves the right to alter a session time.